Review your child’s shot records and make sure that he/she is up-to-date on all shots before heading back to school. School and sports physicals are an important part of each school year, even if they are not mandated by the school. Yearly physicals enable your health care provider to monitor growth and development, update immunizations, determine risks for sports participation, and discuss safety issues. Before your child goes back to school make sure he/she understands the importance of proper hand washing. Soap and water can do wonders in reducing your child’s risk of illness while at school. A child should wash his/her hands properly before eating and after using the restroom, for at least 20 seconds each time. That’s approximately how long it takes to sing the “ABC’s” once, at a slow pace. Choose a backpack with wide shoulder straps and make sure your child uses both straps evenly across the back. Having all the weight over one shoulder can lead to muscle strain. Advise your child to pack lightly. 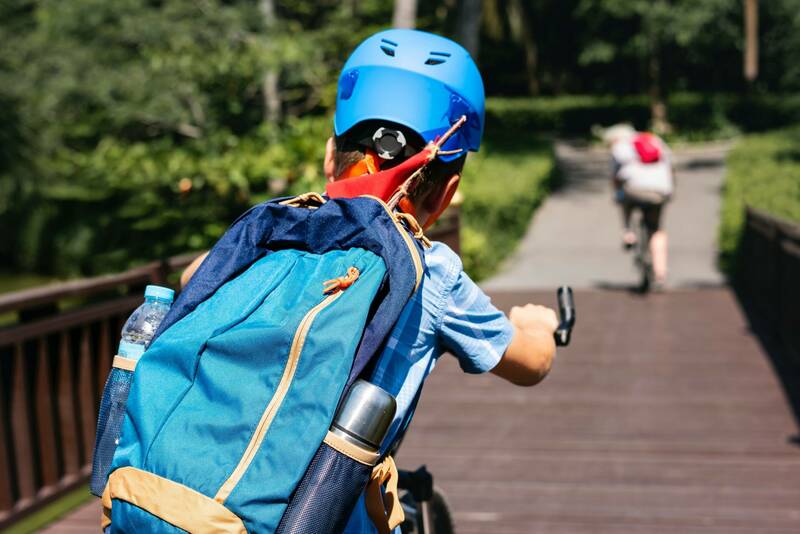 A backpack should never weigh more than 10 to 20 percent of your child’s body weight. The backpack for a 70 pound child, for example, should not weigh more than 14 pounds. Most schools send school cafeteria menus home, enabling you to plan your child’s lunches in advance. Pack a nutritious lunch on days your child prefers not to eat the school’s main course. Go over the menu with your child and discuss the nutritional value of what is being offered. Steer them away from soda and dessert and toward low-fat milk and fresh fruit. Make sure your child is getting an adequate amount of sleep at night to help aid in his/her overall health. On average, children ages six to 12 need nine to 12 hours of sleep each night. Teenagers 13 to 18 years old need eight to 10 hours of sleep each night. If you notice any recurring sleep disturbances or recurring snoring in your child, he or she might have a sleep disorder. To find out for certain, make an appointment with your child’s provider.